Guess aliens don't understand homonyms (night). And Kirk did this on Mudd's Planet ... to an poorly designed Norman, the android. No, the literal image of a medieval knight climbing a fireplace poker made no sense to them and gave the standard (brilliant) Earthlings a chance to defeat a vastly technological species who managed to cross interstellar space to get here. Let's not delve too deeply into the unlikelihood of THAT. Though if you WANT to explore how that might be possible, read Harry Turtledove's Colonization series. He really put some logic in there. But read Worldwar first. Colonization doesn’t make a lot of sense if you don’t read Worldwar. 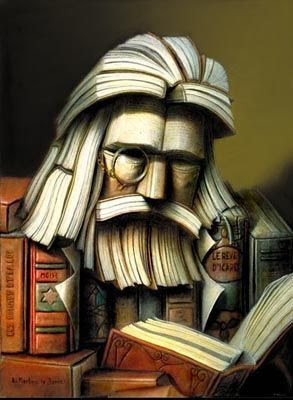 I have read all his books. And you are quite correct. Not only can humans not have Not only can humans not have free will, but an omniscient (all knowing) God cannot have free will either, since it will have known from eternity past everything it would ever do and not do, so it would never be able to make any choices at all, since any choice it might make would already have been known to it from eternity past. To me whether God would know about past, present and future is totally irrelevant to the notion of free will. Suppose all this creation is a game to God. Without this creation it would create solitude and a sense to be alone in his mind so to share that enormous bliss that he owns-possess would be a way to solve that problem. By creating in his mind this universe He would have the possibility to see this creation going from a very low state of consciousness to such an high degree of consciousness that eventually everything in this creation would go back to him and be Him again as the single entity reach that stage. This is the universal game according to yoga. Some religions say that God is perfect so to put my logic in this way it may imply that God is not perfect because he needs to be in company beside there are also two other things that God can not do which are that he can not create an other God and that he can not hate anyone. To me all these points are irrelevant to put the case whether God is perfect or not and I am quite happy to leave the argument to those who wish to argue about whether God is perfect or not because to me He is. As far as to say that there is no free will all this doesn't follow any logic. You as a father whether you like it or not are not going to interfere with the free will of any of your kids decision which are now adults. You may suggest them to do or not to do something but the final decision is theirs. This is how things go in your family so why God would act differently? The question of determinism is peculiar to Western theology. Eastern Christian theology accepts mystery, and doesn't insist on logic. Western Christian theology doesn't seem to insist on logic, either. In Catholicism they call is "casuistry" ... it is a special version they use. Ancient Greek logic is ... I want to be a older male companion of a younger male companion, because gay men of my own age aren't "purdy". I think there is a big problem with religions that try to turn their own rot in "PURDY". After creating lies after lies and turn these lies into something mentally edible to the masses now they find themselves in a situation from which they can not get out anymore. 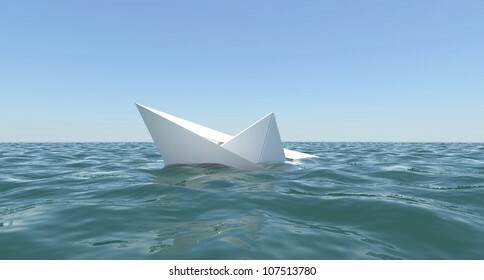 These lies build up and up and in order to find any decent way out the pile of rot they try once more to create one more lie that suppose to wipe the previous rot away but now the boat is sinking and nothing can be done to prevent the boat to sink down. This is why the Protestant Reformation happened. But it opened the doors to secularism aka Enlightenment. The European materialists however are guilty of cultural appropriation ... Enlightenment belongs to the East, primarily to India. This is why the Protestant Reformation happened. But it opened the doors to secularism aka Enlightenment. The European materialists however are gusty of cultural appropriation ... Enlightenment belongs to the East, primarily to India. Actually the situation is more simple than that. Jesus brought enlightenment to the west as well although the first awaken was given long before by Shiva and Krishna in the east. Nothing really belong to the east or to the west because when the individual is ready Shiva or not Shiva, Jesus or not Jesus he or she will get the message. Jesus is cultural appropriation of Krishna, not Shiva. John the Baptist is Shiva. Can you please explain your point? I know you are metaphysical not religious. That is a finer position to take than most. There are Jungian archetypes. Different cultures pull from these archetypes, that are both deep and shallow. The deep aspects have to do with being a human, they are universal. The collective unconscious. The shallower aspects are cultural and regional ... the Spirit is known by many names, and sometimes we need the name as well as the unnamed. We need both the absolute and the relative. It is very hard for people to deal directly with the absolute (see Zen). Even the Logos of Greek philosophy or Johannine theology is superficial, Greco-Roman/Judeo-Christian. So regardless of any particular ideas of historical cultural appropriation (we know of Hindus and Buddhists and even Chinese who were in the W Roman Empire 350 BCE to 50 CE) and such cultural contacts go back to Sumer and Harrapa ... the metaphorical connection can be thru inner space, not just thru physical space. Jesus is an apocalyptic salvation figure, so is Krishna. Krishna with the Gopis is like the non-canonical stories of Jesus as a boy. And it is possible that a Jewish shaman could have visited Malabar or Kashmir centuries before. But the connection is at least thru the archetypes/forms. In addition there were Indians closer to Judea in Antioch and Alexandria. John the Baptist is a austerity figure, so is Shiva. Both originally living in the wild places. Orthodox religion tends to ignore or hide the broader cultural and historical connections. One can see a whole panoply of syncretism in the NT, Hellenistic religion being of that type. Rabbinic Judaism is a conservative core of what was once a much broader spectrum of Jewish culture. Christianity is cultural borrowing of one of several extinct forms of Judaism. Which could not have happened without Paul. There are numerous books on the connection of Jesus to Buddhism and even Taoism. And as syncretism, to Egyptian, Greek and Roman paganism The point at which this all comes together is, chavurim (pietistic conclave members) coming together, some orthodox (rabbinic) and some heterodox (hellenistic). New forms of religion for changing times, as the needs of individuals and societies change.